As part of our Dysphagia Awareness Week we have spoken with Preston Walker who is an expert in preparing dysphagic foods and is an award-winning chef with 25 years’ experience. Preston has dedicated his career to improving the standard of cooking across the care catering sector with expertise in special diets and nutrition for older adults. He now provides training and guidance to individuals and professional organisations about the best ways to cater for those living with dysphagia. Oak House Kitchen, a catering consultancy business that is co-owned by Preston, is offering three online courses around the new IDDSI framework relating to dysphagia. So as part of our campaign at Vegetarian for Life, we asked Preston about dysphagia and his tips on catering for someone living with dysphagia. A. Dysphagia is the medical term for swallowing difficulties. It is the inability to swallow normally or freely, stopping the safe passage of food or drink to the stomach. Dysphagia is not a disease in itself but a condition of many disorders. Dysphagia can be a short or life-long problem. A. A speech and language therapist will diagnose dysphagia by assessing the swallow function of an individual, and provide guidance on appropriate foods, drinks or strategies to maintain safety. Q. How does it affect people? People may also feel a loss of dignity or embarrassment around eating modified food and/or thickened fluids. The consequences of dysphagia are..
Q. Who is likely to have dysphagia? Q. What can someone do if they suspect a person they care for and/or a loved one has dysphagia? Any food/drink that is avoided or challenging? Time it takes to eat meals – more or less than usual? Are all mealtimes throughout the day the same – are any more or less successful? Q. How is dysphagia managed? A. Treatment will involve input from a doctor to treat the underlying cause of dysphagia and a speech and language therapist who will prescribe food and drink modifications, provide therapy regimens to help recovery and advise on swallow safety. Q. Why are there different levels of consistencies of food and drink? A. The IDDSI framework categorises food and drink in levels ranging from thin liquids through to regular foods. Depending on the type of dysphagia and the ability of an individual, food and drink modifications may be required to minimise risk of harm. Some people may benefit from thicker liquids, which slows the flow rate down and allows an individual more time to prepare the swallow. Food modifications can range from restricting the particle size of food and ensuring tenderness through to pureed and liquidised solutions. More information about the IDDSI framework can be found on their website. Q. What are the best foods to make with for someone with dysphagia? A. It is best to prepare meals that that will be enjoyed so discuss what foods the person likes to eat. They may not feel like eating or be anxious at meal times so you will have more success if it’s a favourite dish. Q. Are there any foods that can’t be adapted for dysphagia? A. I’ve not found anything that can’t be modified in some way. Some foods are more challenging across different IDDSI levels, which requires a little thinking outside the box! Many people are surprised salads can be modified effectively. Q. Are there any tips for creating vegan/vegetarian dishes for someone with dysphagia? A. Because people with dysphagia are at a higher risk of malnutrition, fortify foods with high protein/calorie ingredients. Be mindful that the taste of modified food, particularly pureed or liquidised consistencies, can be affected during processing. Thickening and blending foods can mean they taste blander, which is less likely to meet expectations. Seasoning is essential for food to taste good, and use spices or herbs to give food a flavour boost. If liquid needs to be added when blending food make sure it is calorie dense and compliments the flavour profile of the dish. Ensure colours are vibrant and food is presented appealingly to stimulate appetite. Q. What can care homes do to help make food interesting and exciting for someone with dysphagia? A. Maintaining the variety of food on offer is essential for enjoyment and pleasure. The perfect solution is to offer the daily menu options prepared to the appropriate consistency. This way an individual can eat the same as other residents and maintain a balanced diet with a mixture of food groups. Planning is key; some ingredients will need cooking for a longer period or require advanced blending, so build this into your working day. Introduce different strategies and support at mealtimes. If someone fatigues during mealtimes try offering five smaller meals instead of three larger ones throughout the day. 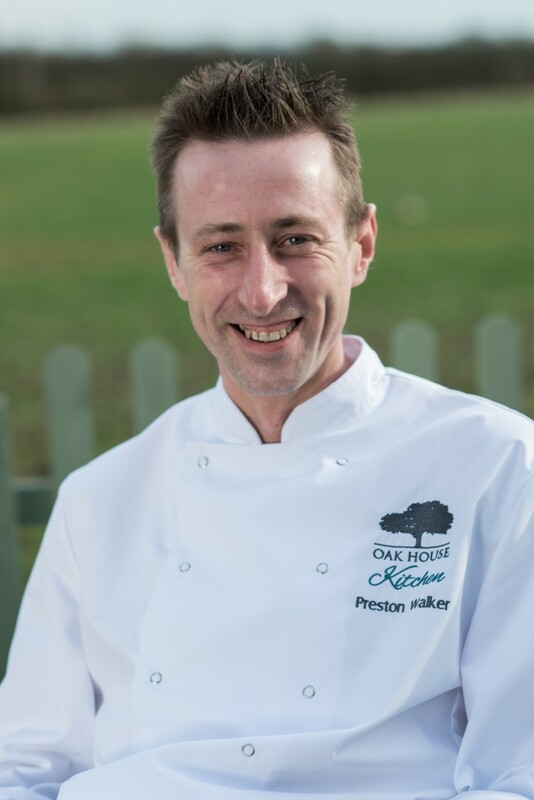 For more information about the training courses visit the Oak House Kitchen website. At Vegetarian for Life we have spoken with a range of dysphagia experts to understand the condition and learn the best way to manage it – focusing on older vegans or vegetarians living with dysphagia. We have created a video library full of tips and advice to help you care for an older vegan or vegetarian person living with dysphagia. There are recipes, tips for vegan and vegetarian food fortification, as well as the basics of how to spot the signs if you think a person has dysphagia. To view the dysphagia video library, click here. Changing seasons and lasting memories!